Psychics easily translate the mysterious, symbolic language that they see in visions, auras and crystal balls; so interpreting dream images is not difficult for them. In fact some are specialized in such work and it can be life enhancing to have that dream one always wondered about translated into a clear, logical depiction of our present situation or future possibilities. Maybe because the dream world can disturb, frighten, intrigue and surprise us, we need to learn to understand it more. It is indeed a hidden land of infinite possibilities, not only describing our unconscious urges, but our past and future. A very experienced Psychic has the capacity to hone in on the hidden “meaning” of our dreams which can comfort us. In fact, they can give us solutions and positive predictions on how to overcome life challenges based on the content of one dream! Dream Catchers can be bought in most New Age Shops and fairs nowadays, having become very popular since dreams are a fundamental part of who we all are. Nightmares, prophetic dreams, good dreams, bad dreams, we always wakeup in the morning trying to remember what that dream meant. You might be one of those people who never remember dreams, but you always dream whether you know it or not, and what you dream is in a unique symbolic language that Sigmund Freud classified as the “royal road to the unconscious”. 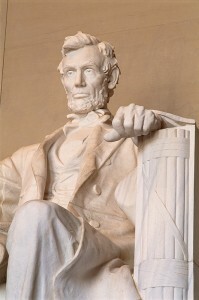 Many sensitive Psychics have had telepathic dreams similar to Abraham Lincoln’s but not with the same drastic ending. Abe Lincoln, President of the United States of America dreamt of his own assassination. In his dream, he heard people weeping. He asked, “Who is dead in the White House?” and one of the soldiers in his dream replied, “The President he was killed by an assassin!” The most renowned novelist of all time Charles Dickens also had a precognitive dream. He recounted “On Thursday night of last week, being at the office here, I dreamed that I saw a lady in a red shawl with her back towards me. On her turning round I found that I didn’t know her, and she said, “I am Miss Napier.” All the time I was dressing next morning I thought–what a preposterous thing to have so very distinct a dream about nothing! And why Miss Napier? For I never heard of any Miss Napier. That same Friday night there came into my retiring-room Miss Boyle and her brother, and the Lady in a red shawl that they presented as “Miss Napier”! Dreams also manifest on various levels. For example, the basic detox dream, a biochemical dream that could have to do with eating too much cheese the night before, or de-stressing from life’s problems. The past life dream, which is like watching a movie in which we star, with a clear plot from beginning to end. The prophetic dream, which is rare indeed but interestingly many people reported dreaming of 9/11 long before it happened. These types of prophetic dreams are garishly colourful and often dramatic. And the aforementioned telepathic dream, such as the dreams of Lincoln and Dickens. Telepathic dreaming has been scientifically tested in the USA. Subjects were brought into a laboratory to sleep, and then someone would select an image, which they would mentally communicate to the person sleeping. Then the subject would be woken up and asked to describe his dream. He would then be shown four pictures, and asked which one resembled the images in his dream. The subjects would successfully identify the pictures mentally projected to them over and over again. But we could also decide to learn lucid dreaming if we truly want to understand our dreams. It is a technique whereby we keep a dream journal, remember our dreams and slowly become conscious within them able to direct them so we can change endings, create adventures and meet the perfect lover, but these types of dreams are difficult to create and need years of practice. Perhaps the trick is to just let dreams happen and enjoy them, as Bob Dylan quoted “I’ll let you be in my dreams, if I can be in yours” Perhaps our favourite Psychic will tell us whether the wonderful man we met in our dream last night, really is our soul mate, but that is another story!